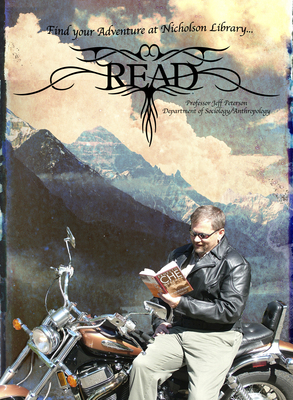 Jeff Peterson, Associate Professor of Sociology, reading The Motorcycle Diaries, by Ernesto 'Che' Guevara. Terry, Paula and Nicholson Library Staff, "Jeff Peterson READ Poster" (2007). READ Poster Gallery. Image. Submission 4.